Sorry for the lack of report last week. Needed some family time and R n R on some saltwater fish on the South Coast. Needless to say the fishing was O.K with some nice Salmon and kings on fly. Now back to the trout. 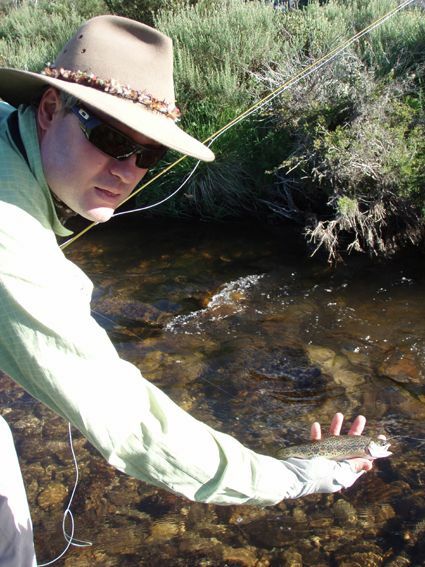 Fishing has been great for fly anglers in Lake Eucumbene and the mountain rivers. 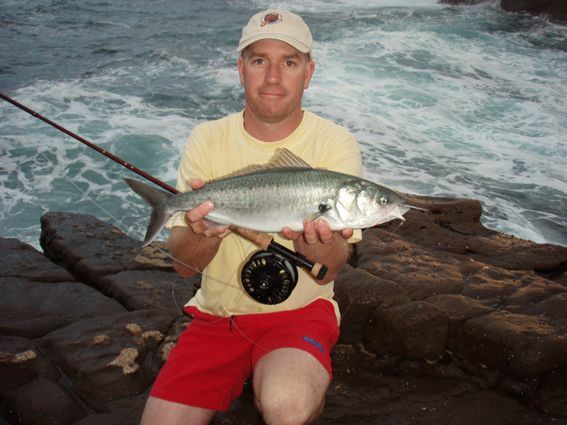 Bait anglers have also done well in Euc with Jindabyne producing some great trolling and some nice fly fishing. 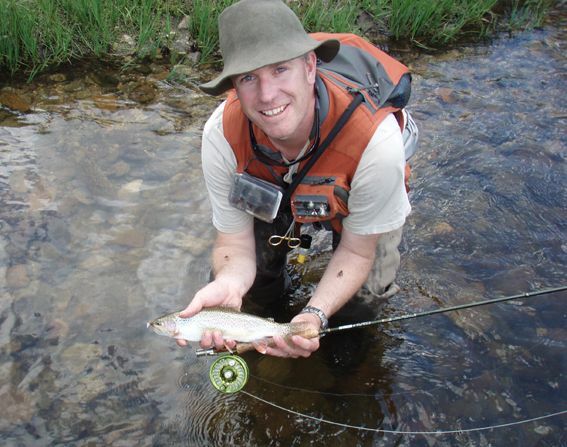 *Daniel Wilkins took a break from the Barra and the tropics coming home to Cooma over Christmas and managed to get in some time on the streams. This is one of the better rainbows taken on a stimulator but there were bigger ones seen, missed and spooked on this day. *Had a fantastic fishing session last week in one of the smaller streams and caught a stack of little ones with plenty in the 25cm range. Caught and released a stack of rainbows for the day with brother in law Jose doing the same and Troy McNab catching a heap also. Fish were not big but lots of fun on the dry and 3 and 4 weight rods. Troy with his first of the day. Lake Eucumbene:- Fly reports have been excellent this week with many anglers catching some numbers of reasonable sized rainbows. There have been a few more browns showing up as well of late. Beadhead nymphs during the daylight hours have been very good with deeper bays producing better catches. After dark mudeye and streamer patterns have been turning up a few too. 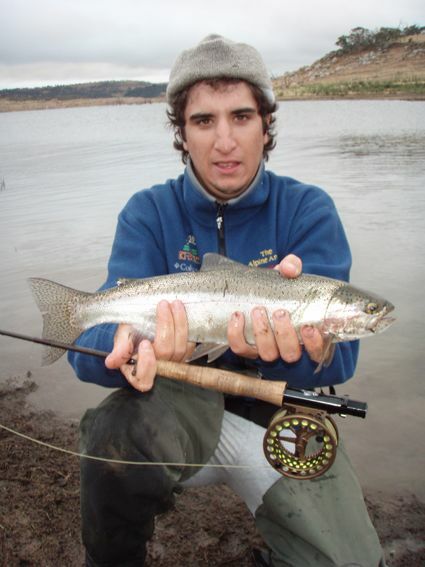 *Below is Jose Maria Carbonetti from Argentina with a nice and plump lake rainbow. An olive beadhead nymph took this fish and a couple of others during the late afternoon. The little 8' #3 Loomis rod was well and truly loaded up on these feisty lake rainbows. *Alan Grey had a great daytime session at Seven Gates on Monday. Thirteen rainbows and one brown were landed from eighteen hooked. All of these were off the bank and taken on fast stripped and twitched black beadhead nymphs. Best time was between 10am and 2pm. *Matt Sturgeon had a couple of sessions on the lake recently landing these two nice browns. 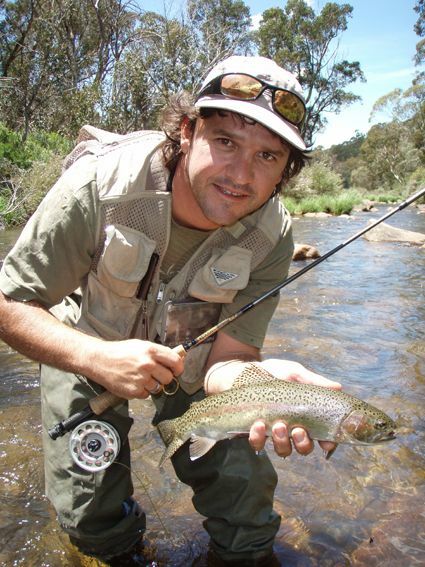 Lake Jindabyne:- Jindabyne reports have improved with some mudeye activity and some nice fish about. Muddler Minnows have been working well and cubits and hi-vis mudeye patterns also taking a few fish. Eucumbene:- Eucumbene trolling has varied but flat linedTassies, Lofty's and Stings have taken fish along with deeper running minnows. Anglers fishing the deeper water with downriggers or leadcore are also catching some. Any of the yellow wing patterns are ideal but darker purples and blacks do enjoy success when fished deep. 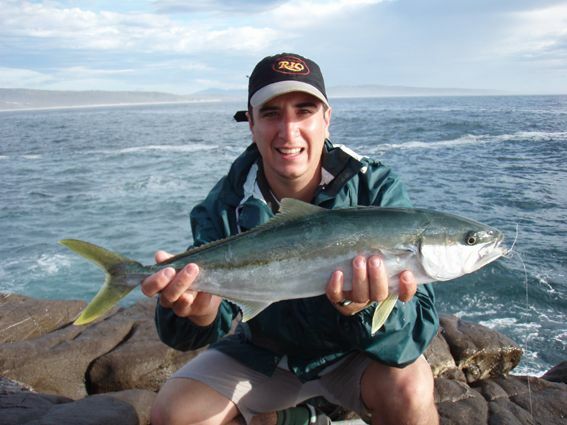 *One angler fishing his lures 30-40 feet on the downrigger reported catching ten rainbows in an hour on yellow wing tassies. Though the fish were not all big it was still an exciting session. 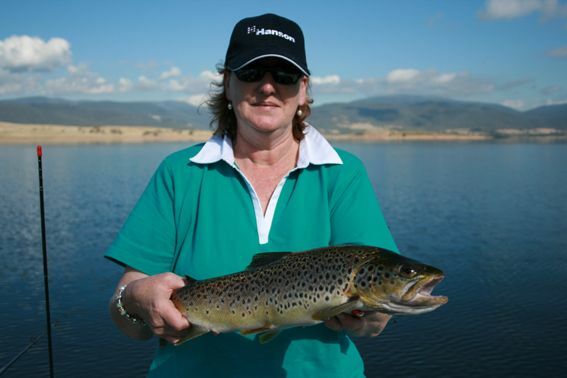 *Below is Claire Walsh with another beautiful Jindabyne brown taken trolling in the later part of December.